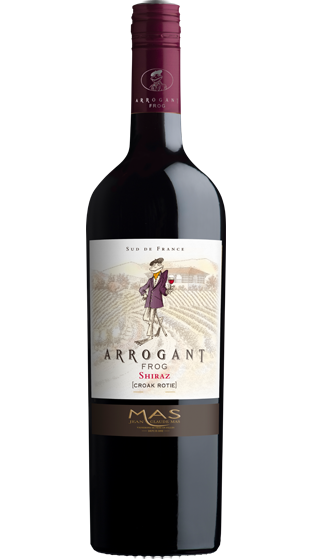 Tasting Note: Enjoy the "Art de Vivre" (art of living) of the South of France with Arrogant Frog Shiraz - NZ's NUMBER ONE SELLING FRENCH RED WINE. Beautiful blackberry aromas backed by spice, toasty oak and supple tannins. Château Arrogant Frog is made up of 20 hectares in Grand Cru Limoux (15 organically farmed and 5 certified sustainable). Vegan Friendly.